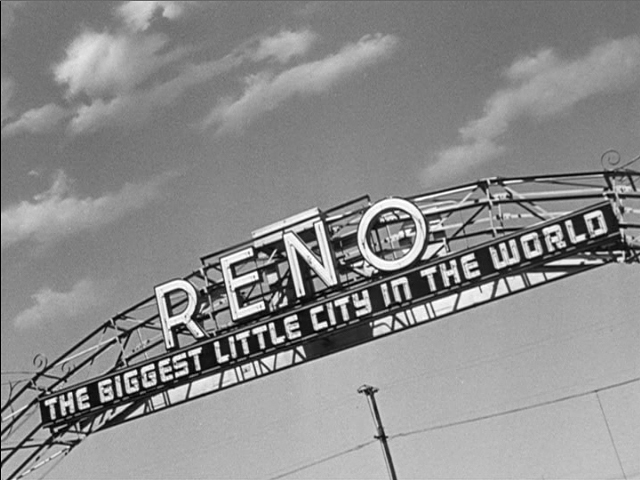 Helen Brent from San Francisco has just spent six weeks in Reno to meet the Nevada state residency requirement for a divorce. Then ... 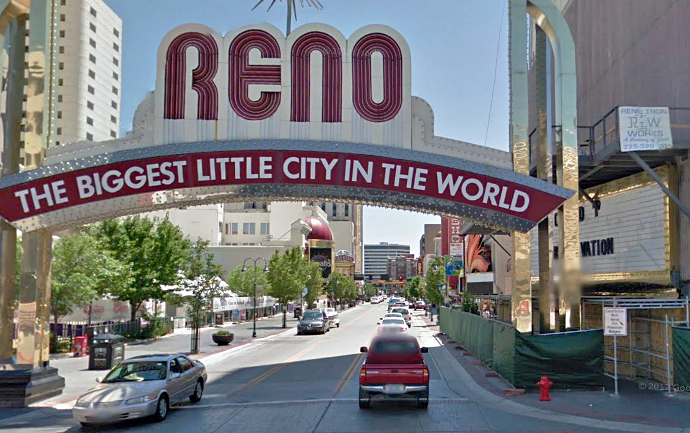 The movie opens with a shot of Reno's iconic arch spanning Virginia Street at Commercial Row (map). ... and Now, the arch has undergone changes over the decades. Here it is today, the third version since it was originally installed in 1926. Then ... 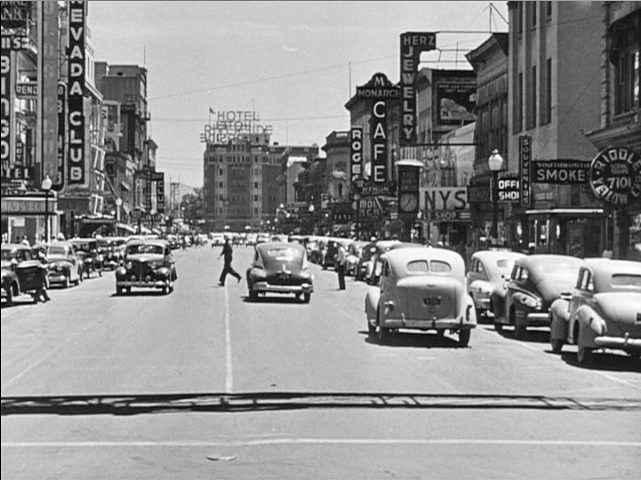 The camera looks south down Virginia Street with casinos, cafes and bars lining the street on both sides. The Riverside Hotel faces us from the other side of the Truckee River where Virginia Street chicanes around to the left. That's the shadow of the arch in the near foreground. ... in the 1950s ... a picture postcard view taken a few years later shows the same scene in glorious color. 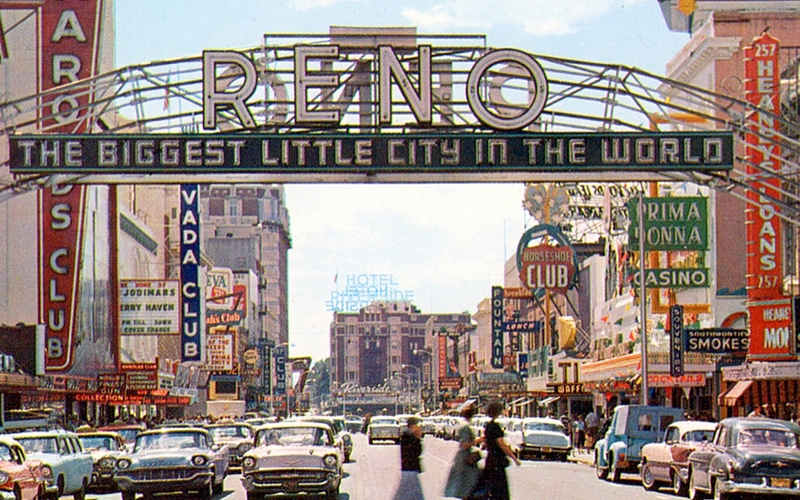 Additional casinos have appeared by this time, undoubtedly the heyday of the Reno strip. The Riverside then was the hotel of choice by the well-heeled for their six week divorce residency. 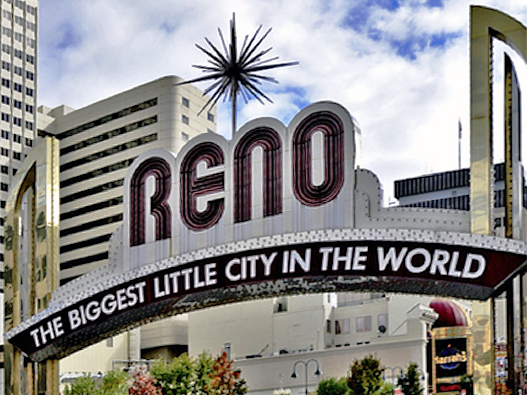 ... and Now, Harolds Club and the Nevada Club on the left are gone now, victims of the competitive success of rival Harrah's and other newer, flashier casinos. The Riverside Hotel building is still there although the hotel closed in 1987, eventually replaced by retail stores and artists' lofts. Then ... Helen and her attorney emerge from the courthouse. 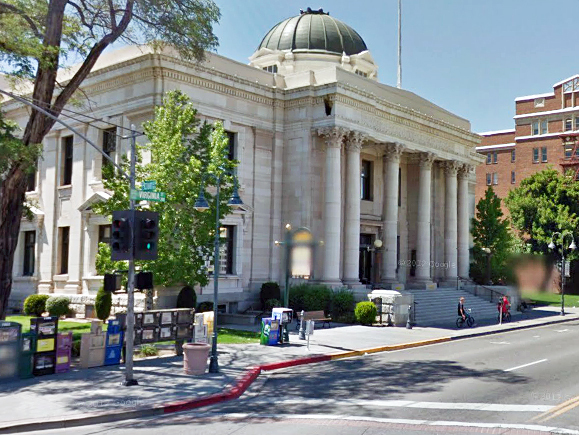 ... and Now, this is the Washoe County Courthouse on Virginia Street a few blocks south of the Reno Arch (map), still there and still in use. 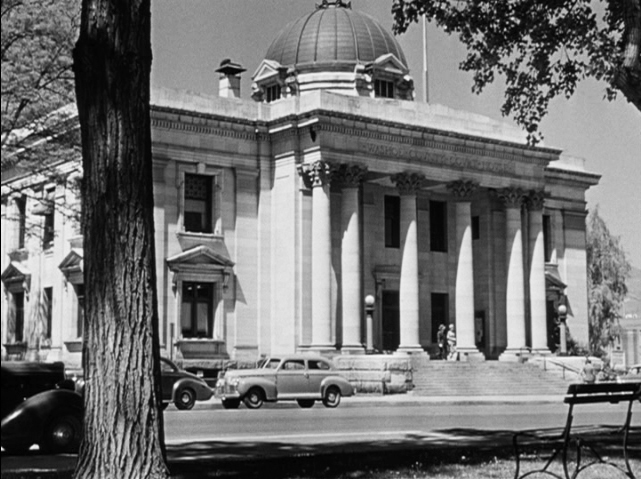 It was built in 1911 with a neo-classical design that incorporated the original 1872 courthouse within it. 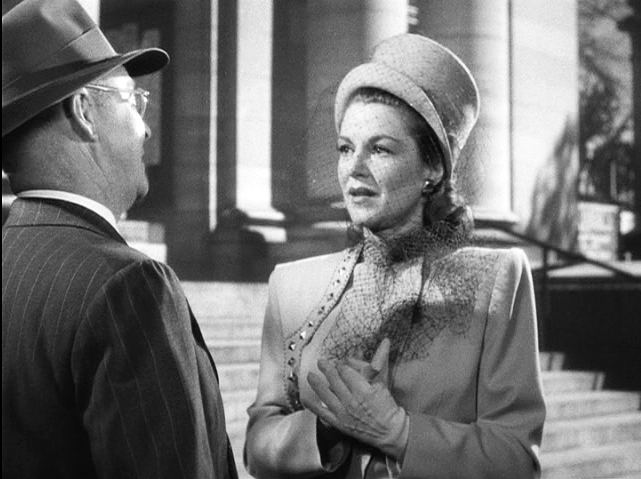 Helen (Claire Trevor) thanks the attorney for securing her divorce and bids him goodbye. Her smart outfit is the first of many that she wears with style throughout the movie. A classy dame to be sure but as we shall see, this being the dark world of noir, she too has a dark side. The Man Who Cheated Himself - They Find The Gun!